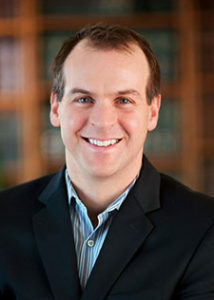 Ian Carleton joined the firm in February 2003 and is a principal of the firm. He regularly represents corporate and individual clients in complex civil and criminal matters in state and federal court, with a particular focus on medical and legal malpractice matters as well as intellectual property disputes including patent, trademark and copyright infringement, breach of contract, and consumer fraud. Represents health care entities and providers, including hospitals, physicians, and nurses, before professional conduct and licensing boards and in connection with malpractice actions and criminal investigations. Represented Cybex International, Inc. in a successful patent and trademark infringement action against TuffStuff Fitness Equipment, Inc. for copying Cybex’s flagship home fitness machines. Represented Synventive Molding Solutions, Inc. in a successful patent infringement and trade secret theft action against Husky Injection Molding, Inc. involving innovations in the injection molding industry. Represented Vermont’s largest electric utility in an action for breach of power contract against the owner of a nuclear generation station. Represented current governor of Vermont and current Mayor of Burlington, Vermont in connection with election recounts. Obtained exoneration and release from prison for John Grega, who was wrongly convicted of murdering his wife, based upon exculpatory DNA evidence discovered in 2012, 18 years after his original conviction in 1995 (when represented by other counsel).